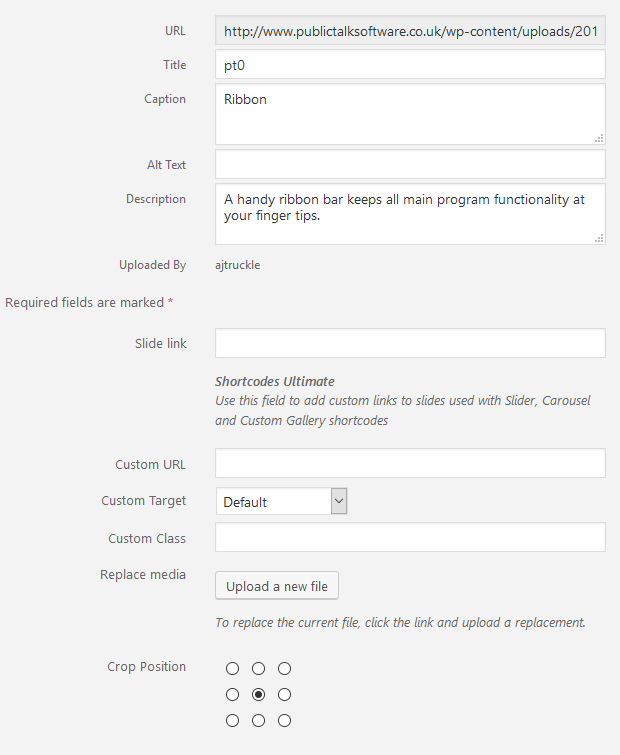 I am working on my Wordpress website www.publictalksoftware.co.uk and I started to run it through HTML Validator. Error in line 639 at character 304: The "img" element (with class="fg-image") requires the "src" attribute. entry. This code is created by the FooGallery plugin. I have not yet asked there about this issue because I don't know much about Wordpress mechanics. Logic tells me that it is a setting specified automatically. Anyway, what I am asking is that technically, a src parameter is being specified. It is just not called "src". Is this a issue I need to raise with the plugin developer? Even though this "img" (with class="fg-image") element has a "data-src-fg" attribute, it still technically requires an "src" attribute. This message is displayed up to 5 times. So you may want to bring it up with the plugin developer... but even though it's not technically correct, it probably works "well enough" for the vast majority of people (assuming the plug-in has been thoroughly tested). I doubt this has any significant effect on SEO but only the search engines would know for sure.